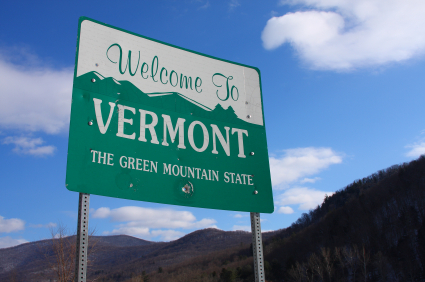 Vermont is famous for being the first state to enter the Union after the original 13 states created the United States. This tiny state is the largest producer of maple syrup in the country, and it is the only New England state that does not have a border on the Atlantic Ocean. Vermont is one of only a few states that were once considered their own countries. Smart Vermont drivers know that it's important to check your insurance options frequently. Everyday events can cause your insurance rates to fluctuate from year to year. Checking your comparison quotes with your updated information can help you see whether you are paying more than you should be paying for the insurance coverage you already carry. New Vermont residents will benefit from the information below, detailing minimum insurance requirements and details on how to transfer an out-of-state license and registration to the state. UM coverage must equal the amount of bodily injury or property damage coverage if more than the required minimum amounts are purchased. To find out how much you can expect to pay for car insurance in Vermont, enter your zip code in the form on this page. You must transfer your driver's license and vehicle registration as soon as you become a legal resident of Vermont, which is 60 days after establishing residency. The only exceptions are for those who are attending school in the state and maintaining their residency in another state, or those who are living in the state while they are on active duty with the military. The first thing to do when you are ready to transfer your vehicle's registration is to complete the Vermont Vehicle Registration form. This form is available at any Department of Motor Vehicles office or through the Vermont official state website. You must fully complete the form before your transfer can begin. The form requires information about the type of vehicle you own and any other owners that might be listed for the car. It also asks for purchase information that will be used to establish the tax rate for the vehicle. Another thing to have done before you visit the office for the transfer procedure is to have your vehicle inspected by a certified inspector. Vermont License Inspection Exam Stations are located throughout the state at several auto mechanic service locations. If you do not have your car inspected before the registration transfer, you will have a grace period of 15 days after registration to complete the inspection. When you pass the inspection, you will be given a signed form that states that your car is safe and roadworthy. If you fail the inspection, you will be allowed to make necessary changes to you vehicle and have it inspected again. Part of the registration transfer process is setting the tax rate for your vehicle based on Vermont's tax laws. You will need to provide the office with information about the original purchase price of your vehicle. You will also need to provide information about the taxes you have already paid on the vehicle in your home state. The only people who do not need to provide tax information are those who are driving cars that are more than 3 years old and can provide proof that they have owned the car for 3 years or more. Vermont only accepts a current vehicle title as proof of ownership. You will need to present your title to the office clerk as part of your application process. If your car's title is being held by a lien holder, you will need to bring your valid registration paperwork from your previous state to a 24-hour Department of Motor Vehicles office. You will also need to bring the name and address of the current lien holder. If the title is held by a lien, the registration transfer can only be completed in person by the stated owner of the vehicle. Transferring your driver's license from another state can be done at any Vermont Department of Motor Vehicles office. If the license is valid or has only been expired for a year, you will only be required to take the vision test. If the license is more than a year past its expiration date, the clerk might require you to complete a written or driving performance test. The testing is at the discretion of the clerk you are working with. If the clerk has the power to decide that you should take a written or driving test in any situation, even if your out of state license is currently valid. To obtain a Vermont driver's license, you must prove your identity and prove that you are a resident of Vermont. Proof of identity can include a valid out of state license as well as a certified copy of a birth certificate or other legal document that states your full name. Although most states only require car insurance verification as part of the vehicle registration process, Vermont requires it for a driver's license transfer as well. You must produce a copy of your proof of car insurance with a licensed insurer in Vermont. Proof of insurance can include an insurance card or receipt from the initial purchase of the insurance policy if it is within the first 30 days of purchase. The insurance company can also contact the Department of Motor Vehicles for you and send verification through a fax or other electronic means. You must carry at least the legal minimums for all required types of car insurance before you can receive a new license. You can prove that you are a Vermont resident by producing a utility bill that shows your current Vermont address as well as your legal name. Pay stubs and mortgage paperwork are also considered valid proof of Vermont residency. If you are a student, you could present a valid student identification card with a recent photo to show that you are going to school in the state of Vermont. Anyone who is from another country must produce proof he or she is in the United States legally. The driver's license transfer also requires that you present a current vehicle registration from Vermont, so it is a good idea to transfer your car's registration before you attempt to transfer your driver's license. If you cannot produce a copy of your driver's license from your previous state, you will need to provide the clerk with your license information, including the driver's license number. It is possible that the clerk can use a computer system to track down an image of your previous license. If the search is unsuccessful, you may be treated as an unlicensed driver and subject to all of the normal tests that go along with getting your first driver's license. Licenses that have been expired for more than a year will not be accepted as valid.